Daily mode: Analyzes daily data, including steps taken and calories burned. Sleep mode: Tracks your sleep pattern and quality, set silent alarms. Sports mode: Starts a workout and displays information including duration, steps taken, calories burned, and distance traveled during the workout. Nap mode: Awakes you via vibration after a short nap. Track and monitor your fitness today with the V-Fitness HR Activity Monitor. The device tracks how many steps taken, distance travelled, calories burned and sleep quality. Maximize workouts, monitor your heart rate, track calorie burn and get a clearer picture of your health, all without an uncomfortable chest strap! Download the free APP to set personal data such as height, weight, age and gender. Connect wirelessly to an iPhone or Android Smartphone with low energy Bluetooth 4.0. See everything clearly on the slim LED screen. 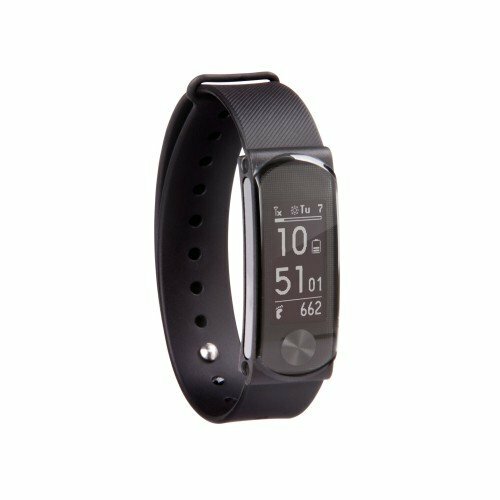 The device is water resistant so whether running a marathon or walking in the rain, the V-Fitness activity monitor will keep on working. Two customizable bands are included to help match your personal style (black and red), it is made for you and your goals so get moving today!